Trip south to Kal, EP and Port Augusta. A trip south to Kal, Eyre Peninsula, Port Augusta and Broken Hill in January provided a mixed bag of sightings and a lot of hot weather! With the line reopened and a deviation in place at the derailment site at Coonana SCT's Melbourne to Perth freight service 6MP9 powers through Parkeston. AC 4306 with 3C74 empty lime / cement train. Train 3C74 empty lime / cement powers upgrade from Parkeston at Yarri Road grade crossing behind AC 4306. 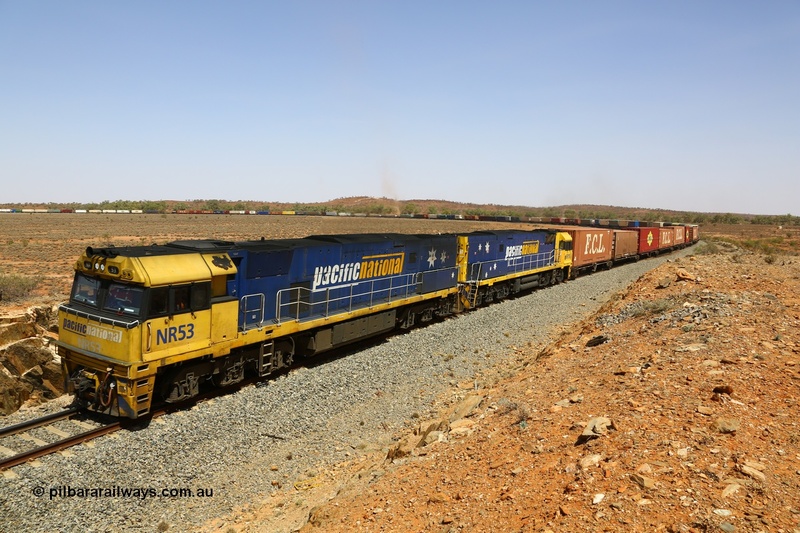 CBH grain train 1A43 at Burngup. CBH 012 and CBH 005 loaded pass the Burngup tank. CBH 012 and CBH 005 top the grade into Buniche Siding.